Technological, sophisticated, highly resistant and adaptable to any architectural context, but above all totally Made in Italy. 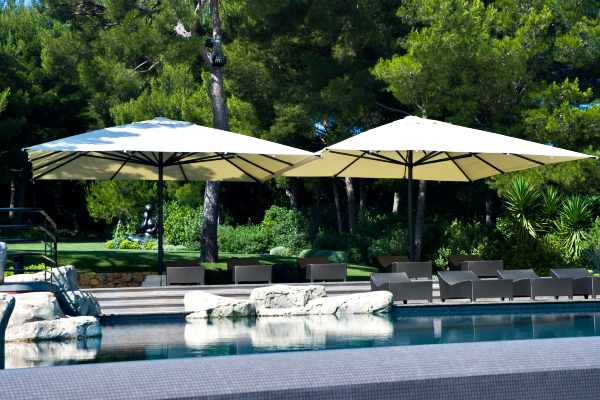 Poggesi aims to furnish and decor gardens, terraces and commercial spaces with its umbrellas, combining aesthetics, functionality and technology. 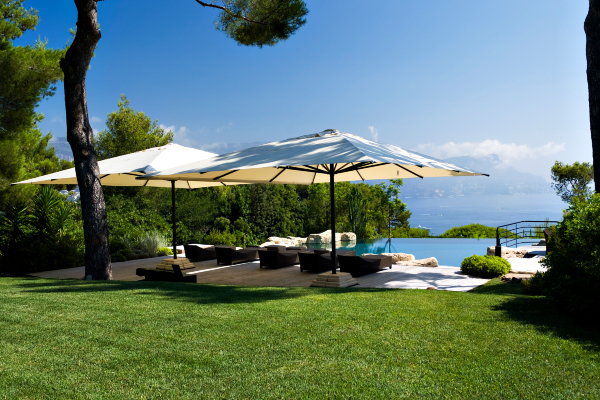 Aesthetically impressive as well as functionally remarkable, and totally made of in aluminium, MAGNUM is the central pole parasol designed by Poggesi that multiplies the available space, reaching a maximum coverage area of 56 square meter. Created adapt to any architecture without affecting the surrounding environment, MAGNUM is equipped with a the telescopic closing system, which allows to open and close the umbrella without removing the below furniture. Extremely resistant to atmospheric agents thanks to the extreme quality of the fabric, suitable for both summer and winter, and the reinforcement of the slats through specially designed profiles, MAGNUM is wind resistant up to 60 km/h and it’s the best possible partner to 100% enjoy every outdoor spaces. Aesthetically perfect in its majesty, MAGNUM synthesizes all the values and principles that make Poggesi to stand out among its competitors.